Graphene Nanoplatelets consist of small stacks of graphene that can replace carbon fiber, carbon nanotubes, nano-clays, or other compounds in many composite applications. When they are added at 2-5wt% to plastics or resins they make these materials electrically or thermally conductive and less permeable to gasses, while simultaneously improving mechanical properties like strength, stiffness, or surface toughness. The GNPs that all have the same image are the plasma exfoliated products. 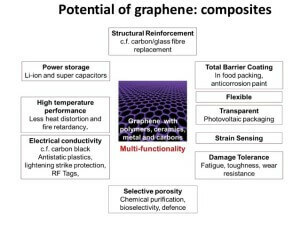 Our GNPs consist of several sheets of graphene with an overall thickness of approximately 3-10 nanometers depending on the specific product. Our 99% research grade Graphene Nanoplatelets are friable to 4 layers thick. To find the price for a specific product and quantity, simply click thru to the individual product page and enter the quantity you need. Our website will display the price for that specific quantity. Get a quote or buy online today! Quotes are available online thru our cart. Simply add the products and quantities you need into the cart and then you can download a quote. Prices are per gram, kg’s are available, just enter 1000g. The main properties of GNPs are electrical conductivity, thermal conductivity, mechanical reinforcement, and gas barrier layers. GNPs properties can be influenced by its manufacturing methods. 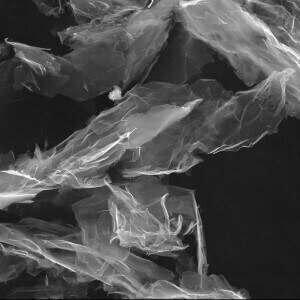 Our graphene nanoplatelets are made by exfoliating graphite down to 5-15 atomic layers. The methods used vary but the typically used processes are chemical exfoliation (which adds defects to the product) or dry exfoliation with plasma. Dielectric Barrier Discharge is a plasma process and is how our research grade GNPs are made. They enhance mechanical properties and are some of the highest electrically & thermally conductive carbon additive materials you can buy. They can be surface functionalized by introducing the desired species during the exfoliation process. 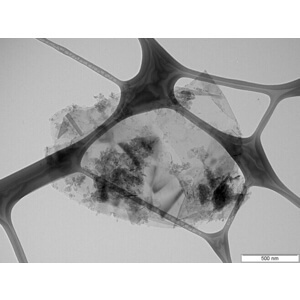 Graphene Nanoplatelets applications are quickly advancing from the R&D lab to commercial scale products. They are extremely useful as nanoscale additives for resistive heaters, advanced composites, as an electrode in advanced batteries and ultra/super capacitors, as the conductive component in specialty coatings or adhesives, and as a component of e-inks or printable electronic circuits. Other graphene nanoplatelets applications include exceptionally strong and impermeable packaging, better lubricants, and a recent publication even demonstrates that our conductive research grade GNPs, surface-treated with sensitized molecules, can be used to produce highly sensitive bio-sensors. Graphene Nanoplatelets price is typically based on quality and volume. Industrial grade GNPs are cheaper, have a larger number of layers, more defects in the structure, a lower specific surface area and range from $50- $75 per kg for commercial volumes (tonnage) and $15 for small quantities. Research grade GNPs price range is from $65-$90 per kg for commercial volumes and $35-$40 per gram for small quantities. The prices decline as volume increases. Graphene Nanoplatelets dispersions are available from Cheap Tubes Inc. Please let us know your requirements for solvent, surfactants, and loading ratios. Graphene nanoplatelet disperison is typically achieved with an ultrasonic probe, a high shear mixer, or a 3 roll mill with the rollers rotating at different speeds to create shear. Best practice is to add the surfactant right at the end of the dispersion process. 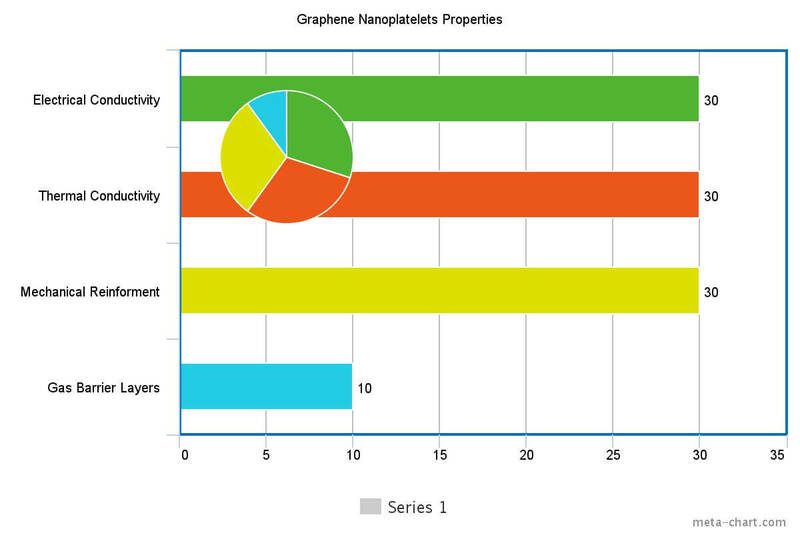 Our plasma exfoliated graphene nanoplatelets disperse much more easily than competing products. When present, functional groups are bonded to the edges of the individual graphene sheets to promote dispersion. Our functionalized graphene nanoplatelets are the right choice for many industrial applications and are available on the ton level. The available functionalized graphene nanoplatelets with O+ (all of the oxygen groups) COOH, NH2, N2, & F groups to chose from will enable compatibility with a wide range of industrial processes. Below are just a few of the many Publications using GNPs from Cheap Tubes Inc.
Screen printed resistive pressure sensors fabricated from polymer composites with graphene nanoplatelets. 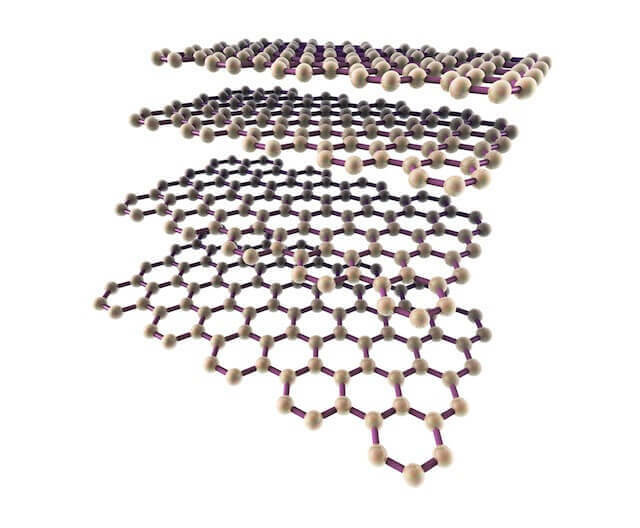 The Graphene Nanoplatelets structure can best be envisioned as stacks of parallel sheets of hexagonal carbon atoms. Due to Van der Waals interactions they reagglomerate easily and are typically 5-20 layers thick.